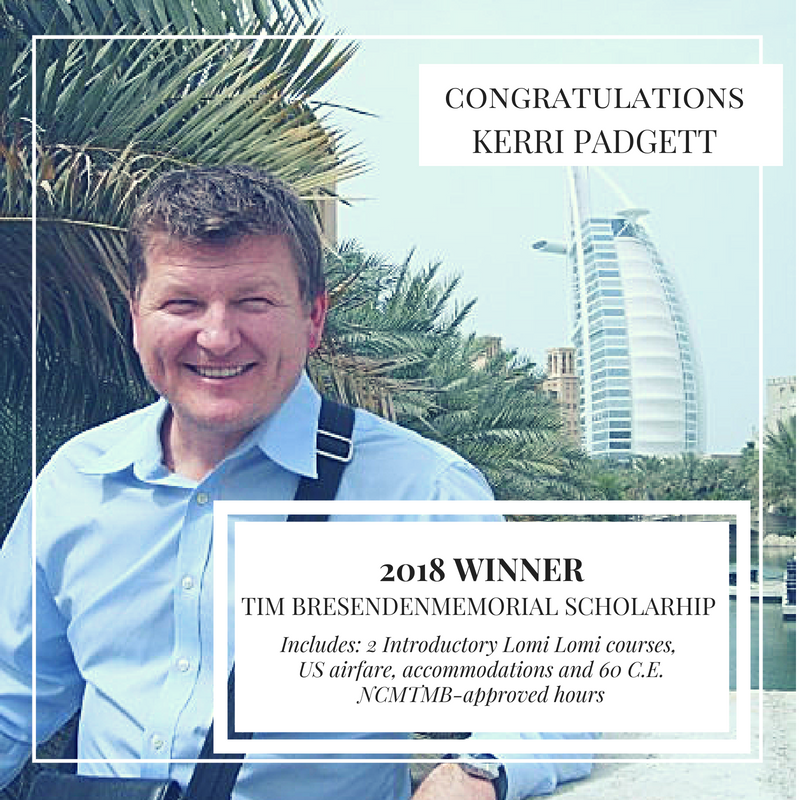 The Bresenden Family is pleased to announce the winner of the 2018 Tim Bresenden Memorial Scholarship. We would like to begin by thanking all of the applicants who freely shared their stories of family, overcoming challenges and sharing aloha in their own way in their home communities. We literally received entries from all over the globe. You are our heroes! Please continue to do what you are doing to bring more light and love into our world. The recipient inspired us with her commitment to bringing healing touch to children with cancer and the families who love them. As a volunteer, she bridges the gap between providers and parents, is involved in peer-to-peer support and advocacy work with lawmakers on pediatric cancer issues. We are excited to present this year’s winner…Kerri Padgett of Providence, Rhode Island!! Kerri, we wish you the best and hope that you will carry this knowledge of Lomi Lomi forward to continue bringing together people from all walks of life. 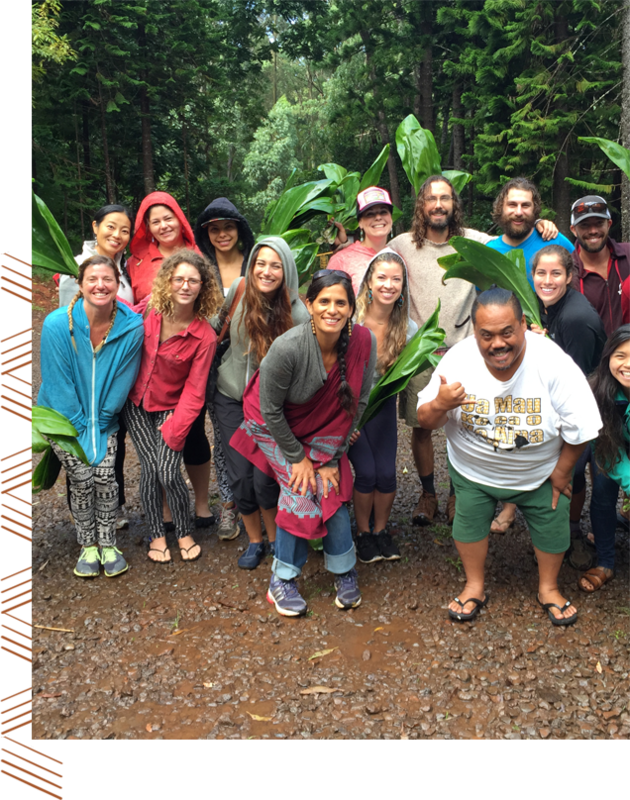 The annual Tim Bresenden Scholarship awards one student the opportunity to attend two introductory Lomi Lomi courses at Ho’omana Spa Maui. Our Tim Bresenden Memorial Scholarship is offered as a loving tribute to a man who committed his life to serving his family, friends and the greater community by acting as a peacemaker and bridge-builder to bring together people from all walks of life. This auspicious award is given to one individual each year that aspires to exemplify this spirit of building community and inspires others by doing so. U.S. Airfare, accommodations and NCBTMB-Approved 60 C.E. Units in Hawaiian healing bodywork. You do not have to be a massage therapist or have any previous massage training. We hope to select the person who inspires us and shows the most pro-active interest in serving their community. The application window for the 2018 Tim Bresenden Memorial Scholarship is now closed. We will announce the winner on July 1, 2018. To qualify for the 2019 Scholarship Award, the deadline for entry is June 15, 2019. 1. Describe a major event or inspiring person that has shaped you life or made you who you are today. 2. How will this scholarship help you reach your goals? 3. What you are currently doing to be a peacemaker and bridge-builder in your home, community and/or the world? It is a pleasure to read your essays and we look forward to your entries! Jump on this opportunity in order to secure your placement in our selection process! Good Luck and Congratulations on hearing the call!